Frequently Asked Questions:WHAT IS THE PICK OF THE LITTER PROGRAM?Our Pick of the Litter Program allows for you to have a “pick of the litter puppy”, or adolescent/adult breeding dog for just a fraction of the price. This puppy or dog is part of your family forever, while the breeding rights are retained by Montana Mist Goldens for a short-term prescribed amount of time. Once this dog has completed his/her breeding career, he/she will be spayed or neutered at our expense. This dog will always remain a forever member of your family and at the end of our short term contract will become your full property! 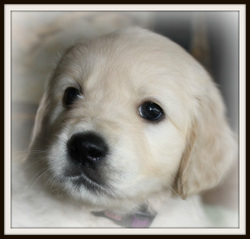 To view AVAILABLE pick of the litter puppies, click here! IS THERE A COST INVOLVED?Yes, initially. We do not give these dogs or pups away. The cost of a Pick of the Litter dog/puppy requires a deposit of $1250 which is 1/2 our companion puppy price. Any “breeding related” medical costs are the sole expense and responsibility of Montana Mist Goldens. You are only responsible for routine maintenance and medical care just as would be expected of any other responsible pet parent! WHY IS THERE A COST INVOLVED?We have found that having an upfront $1250 deposit for these puppies and dogs is essential in finding the absolutely BEST homes for these wonderful dogs! By doing this, we eliminate those folks who may be doing the program for the wrong reasons! Again, we have done this as part of ensuring the health and benefit of every wonderful member of our Montana Mist Goldens family! WHAT ARE THE BENEFITS OF BEING PART OF THE PICK OF THE LITTER PROGRAM?First of all, you get the very best that Montana Mist Goldens has to offer in the English Cream Golden Retriever! This means that we choose our breeding stock based on the best qualities that are outlined in our breed standard with temperament of course coming first. Another wonderful benefit to you is that this dog or puppy will be completely health tested by 12 months of age (some tests may be done as early as 16 weeks of age) at the expense of Montana Mist Goldens prior to entering our breeding program at no cost to you! Also, you get to enjoy the excitement of being a part of our breeding program, and will see the offspring of your very own dog placed with families across the country ~ bringing others the same joy and happiness that you have experienced with your Pick of the Litter Dog! WHAT IS THE PICK OF THE LITTER PUPPY SHARES PLAN?Upon enrollment in the Pick of the Litter Program, you will receive an Executive Starter Kit with Life's Abundance. This package is valued at over $300 and has product samples from the Life's Abundance line of Holistic Veterinarian formulated products. When your dog has a litter, all the puppies from that litter will be placed on your account. You will then receive a percentage of every Life's Abundance purchase made by these puppy's families for life! Not only that, but you can share the goodies and health promoting products with friends and family and make even more! WHAT ARE THE REQUIREMENTS TO BECOME A MEMBER OF THE PICK OF THE LITTER PROGRAM?To be considered as a member of the Pick of the Litter Program for one of our breeding dogs, we require that you live within 100 miles of our home, Missoula, Montana. It is necessary that you have physical fencing to provide a safe and secure environment for your dog/puppy, own your own home, and have a schedule that will allow for your dog to not be left alone for extended periods of time. All dogs and pups placed in this program must be indoor dogs, and never be left outside unattended. You must have reliable transportation, and a willingness to bring your dog/pup to us when needed for breeding purposes. SO HOW DOES IT WORK?Most all of our dogs/pups available for our Pick of the Litter Program will be females. Occasionally we will have a male available as well! If you are applying for a young adult, or mature Pick of the Litter dog, she will already come to you completely health tested (beginning in 2014), and may have just a couple more breedings for us (depending on her age and the number of litters she has had) prior to her being spayed and released solely to you as a forever pet. When the dog is in heat,you are required to contact us immediately. An intact female usually has a heat cycle that will last between 14 and 21 days. During this time, we will need access to her for breeding related appointments. Once she has been bred, she will remain with you until one week before her due date. At that time, your dog will come back to stay with us until the birth of her litter, and will be returned once her pups are fully weaned at approximately 6 weeks of age. You are welcome and encouraged to visit with scheduled appointments while your Dog is at Montana Mist Goldens. If you are applying for a Pick of the Litter Program puppy, she will come to you at 8 weeks of age. During the first year, Montana Mist Goldens will have her health testing completed. Once we receive all of the results from her health testing, we are then able to assess whether or not she will enter our breeding program. If for any reason we decide not to breed the puppy placed with you (this is a decision solely made by Montana Mist Goldens) we will then pay to spay your puppy, and this dog will become your full property at no additional cost to you! If you are receiving a Pick of the Litter Program Puppy, we ask that you send us monthly photos and updates during the first year so that we can watch her develop, and update our website. We also will require scheduled visits two to three times a year with you to assess the your puppy, as well as build a relationship with her for when she comes to stay with us during whelping. HOW MANY LITTERS WILL A FEMALE PRODUCE?Each dog is individually assesed before determining how many litters they will have. Most of our Pick of the Litter dogs will have between 1-4 litters for us, but will have no more than a total of 4 litters. The health and well being of our breeding dogs is a priority to us, and prior to any breeding, Montana Mist Goldens will receive clearance by both our Reproductive as well as our regular Veterinarian. Females are first bred at 2 years of age. Occasionally we may decide to have fewer litters if we feel it is in the best interest of the dog to do so! Again, this is determined by Montana Mist Goldens. WHY HAVE WE CHOSEN TO DO THIS PICK OF THE LITTER PROGRAM?That is simple to answer!!! Here at Montana Mist Goldens our aim is to provide superior quality puppies and excellence of service to all our puppy parents! We have also done everything in our power to make our breeding program top notch in every conceivable way! We start with the Best of the Best fully health tested, imported European breeding dogs that are Champions or Champion bred. We continue with top quality care, nutrition, love and socialization. We thoroughly interview every interested puppy applicant to make sure our dogs and puppies only go to the Best of the Best homes! We make sure we are there for the life of every puppy that leaves our care and we have even developed an amazing online complete 12 week puppy training program FREE of charge for every family that takes one of our sweet dogs home! Our Pick of the Litter Program was put in place for this very reason! We found that our Montana Mist Goldens puppies were in greater demand than we could possible supply....so the "Pick of the Litter Program" was born! This program allows for our dogs to live the normal, happy life they are SO deserving of and at the same time allows us to continue build a superior breeding program! If you are interested in being part of our Montana Mist Family, we would love to chat with you! Click here to contact us today!